'Mad Men' George Romney Swipe Incites Tweets From Grandson Tagg : It's All Politics Mitt Romney's son Tagg responded to the episode today in a pair of Tweets. In the first, he said, "Seriously, lib media mocking my dead grandpa?" And in the second, "George Romney was as good a man I've ever known. Inspirational leader, worked for civil rights, promoted freedom. We need more like him." Mitt Romney with campaign poster for his father, George, in Spartanburg, SC, January 2012. Was Mad Men weighing in on Election 2012 from the year 1966? That's the question many are asking today after last night's episode of the Emmy Award-winning advertising-world drama on AMC. Henry Francis (played by Christopher Stanley), a supporting character, has advised both New York's Republican Governor Nelson Rockefeller and New York City Mayor John Lindsay, both men moderate Republicans. In one scene, we hear Francis say over the phone, "Well, tell Jim His Honor's not going to Michigan." After a beat, he adds: "Because Romney's a clown and I don't want him standing next to him." Obviously Francis wasn't talking about Mitt Romney, but rather George Romney, the moderate Republican governor of Michigan from 1963 to 1969. The stock-in-trade of Mad Men has been crafting winking, knowing parallels between 1960s America and the contemporary United States. Everything from office relationships to smoking during pregnancy is slyly contrasted with today's standards. Last night's episode, called "Tea Leaves," was directed by Mad Men star Jon Hamm and written by Erin Levy and Matthew Weiner, who's the show's creator. Weiner told Bill Maher on HBO's Real Time this past Friday that he's a Democrat. One can only speculate about what message the writers may have been trying to send about George Romney's son Mitt. But given Henry Francis's association with moderate Republicans like Rockefeller and Lindsay, it would stand to reason that Henry's politics would be in line with the politics of George Romney. Romney was regarded as a progressive on civil rights, like Rockefeller and Lindsay. And Romney opposed his party's nomination of Barry Goldwater in 1964. Mitt Romney's son Tagg responded to the episode today in a pair of Tweets. In the first, he said, "Seriously, lib media mocking my dead grandpa?" And in the second, "George Romney was as good a man I've ever known. Inspirational leader, worked for civil rights, promoted freedom. We need more like him." 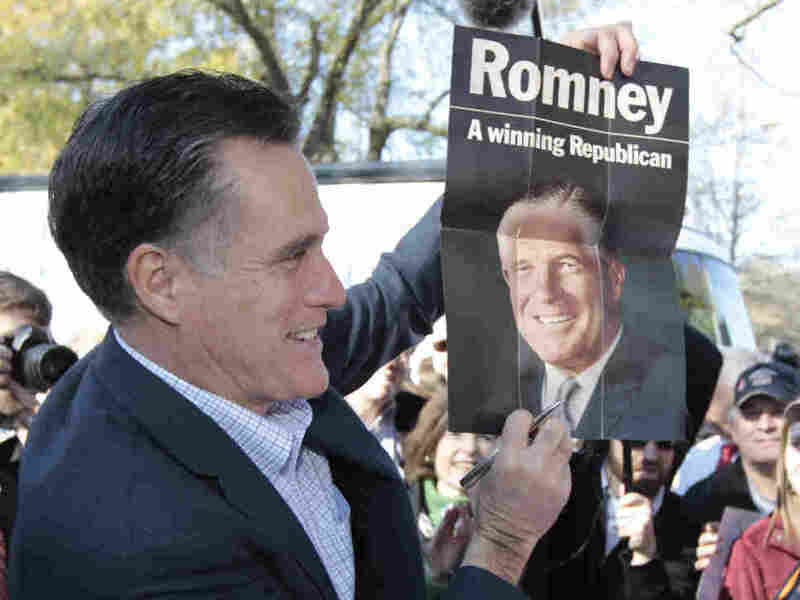 The elder Romney who, like his son Mitt also ran for president, died in 1995 at age 88.